In April of 2017, they said I do in Haddonfield, NJ. Their family and friends gathered at Haddon Fortnightly to celebrate this wonderful occasion. The Haddon Fortnightly is a beautiful, traditional space with honey colored hard wood floors, white decorative pillars and simple yet traditional gold chandeliers throughout. It was a beautiful day, which made the photographers job that much easier! Carley K Photography captured the love these two share perfectly and we couldn’t be happier for them. The Bride’s bouquet was a beautiful organic collection of white blooms, accented with a variety of greens including silver dollar eucalyptus (one of our favorites). 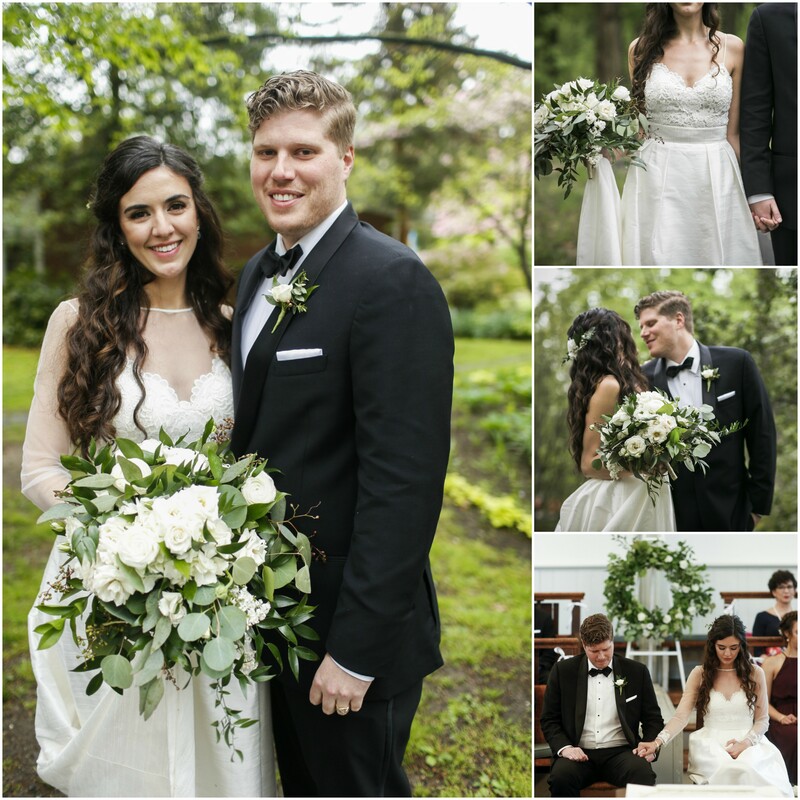 The groom wore a simple white tea rose with greenery to match his beautiful bride.